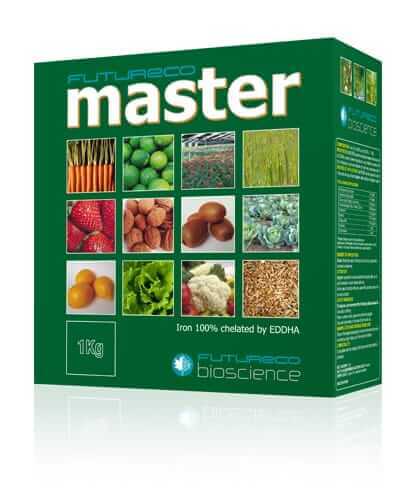 Master - Kenya Biologics Ltd.
MASTER is a complex of iron chelated by EDDHA, which gives the product a good stability at high pH and in calcareous soil conditions. It is used for the prevention and correction of iron chlorosis in various crops. MASTER can be applied directly to the soil by any irrigation system, after water dilution, and can be applied to any stage of the harvest cycle when chlorosis is appreciated. Make sure that the irrigation equipment is clean after its use to prevent corrosion. Use only when there is a recognized need. Do not exceed the recommended dose. MASTER is stable for at least three years since manufacturing date. Store in the closed original container in a cool and ventilated area. DO NOT store for prolonged periods in direct sunlight. Keep away from food, drink and animal feed. Keep out of the reach of children. MASTER is compatible with most commonly used fertilizer products in cultures where it is recommended. Whenever possible, it has to perform a compatibility test in a small volume.